Massive storms in North-West Spain have taken Real Madrid’s LaLiga fixture against Celta Vigo as their latest victim, having already caused Deportivo La Coruna’s match with Real Betis to be postponed. 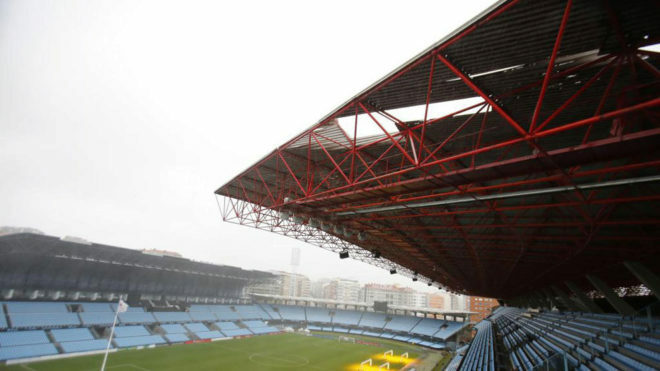 Due to kick off at 20:45 CET on Sunday night, damage to the Estadio Balaidos roof has been considered too great to fix at short notice with no date given for the rearranged game. Real had proposed the fixture be moved to another venue or played in a partially closed Balaidos, but a report from Vigo city council has been the catalyst for LaLiga to make the postponement official. “According to the City of Vigo report, the agency believes that Estadio Balaidos cannot guarantee the safety of supporters and players for tomorrow’s match,” read an official league statement. “Therefore, having received this information, LaLiga and Celta Vigo have transferred this report to the RFEF. Meanwhile, an announcement is not yet forthcoming over the Wednesday night Copa del Rey semi-final when Celta are due to host Alaves, who have asked for that game to also be called off.